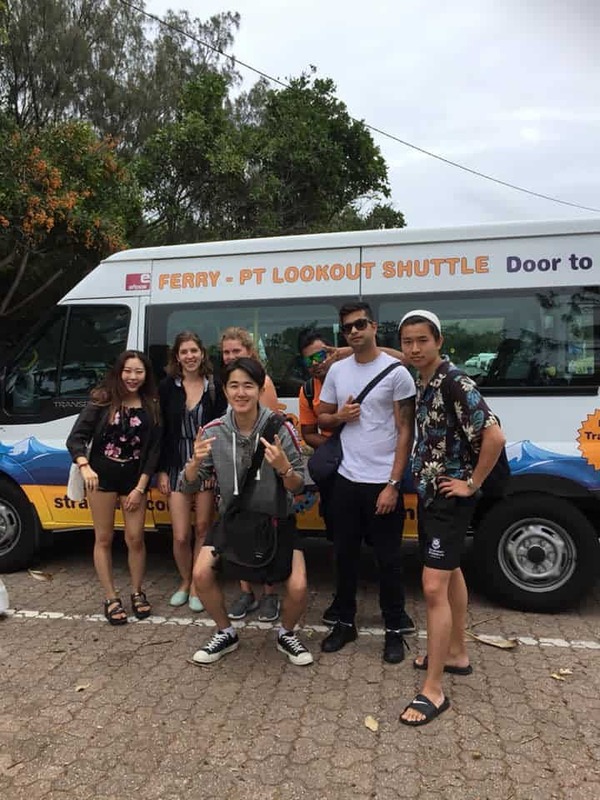 Stradeasy is North Stradbroke Islands exclusive ferry shuttle and provides “ferry to door” transport for foot passengers arriving by ferry, to their accommodation or other chosen location in the Point Lookout area. Stradeasy is an 11-passenger seat, comfortable, air-conditioned mini bus. Stradeasy is a scheduled service and only operates as per the timetable for the day, unless pre-booked – please email us at info@stradeasy.com.au. Your visit to Straddie is made easy, with pick up from Stradbroke Flyer (One mile) or Stradbroke Ferries (Dunwich). StradEasy ferry shuttle picks up from One-Mile and Dunwich and drops off at Air BNB, camping grounds, hotels, beach house and resorts in the Point Lookout area. StradEasy ferry shuttle can also transport to Cylinder Beach, The Point Lookout Surf Club, Gorge Walk, whale watching sites or any location you wish in the Point Lookout area. We can also provide transport of group bookings for weddings, conferences, school trips or family get-togethers. Your visit to Straddie is made easy, with pick up from Stradbroke Flyer or Stradbroke Ferries.